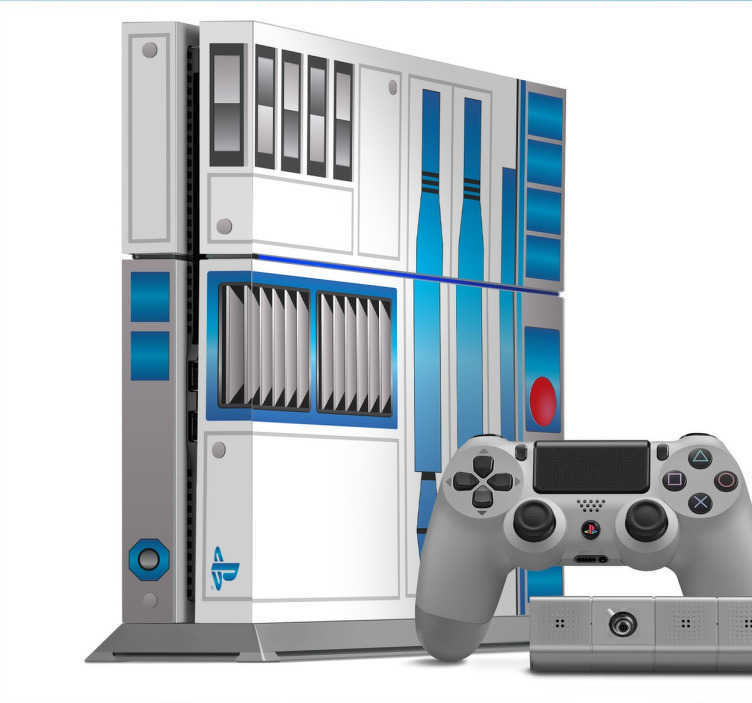 R2-D2 PS4 skin based one of the highest grossing film franchises of all time, Star Wars. This colourful design will make your console look like your playing PS4 on your own droid, with matching controller skin to complete the look. This decal is easy to apply with no risk of air bubbles.